Ralph Waldo Emerson shook the foundation of established religion. 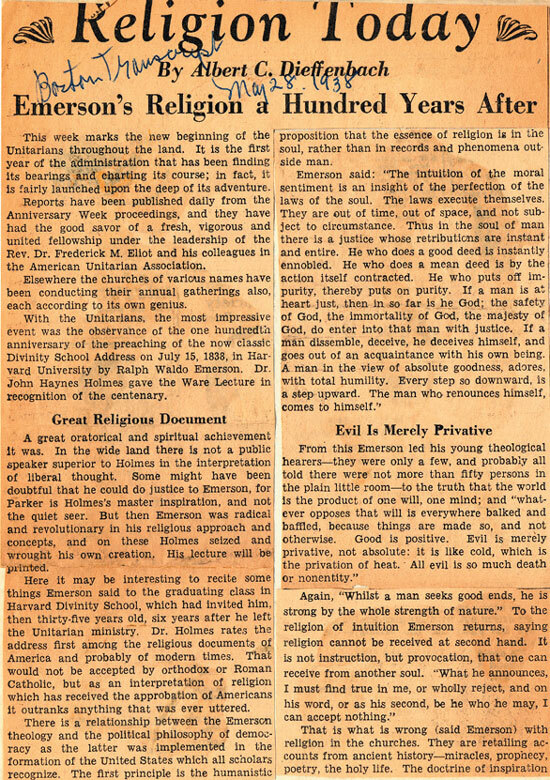 When he delivered his Divinity School address at Harvard and admonished the graduating class to “go alone; to refuse the good models, even those which are sacred to the imagination of men, and dare to love God without mediator or veil” it was his last “face-off” with organized religion. 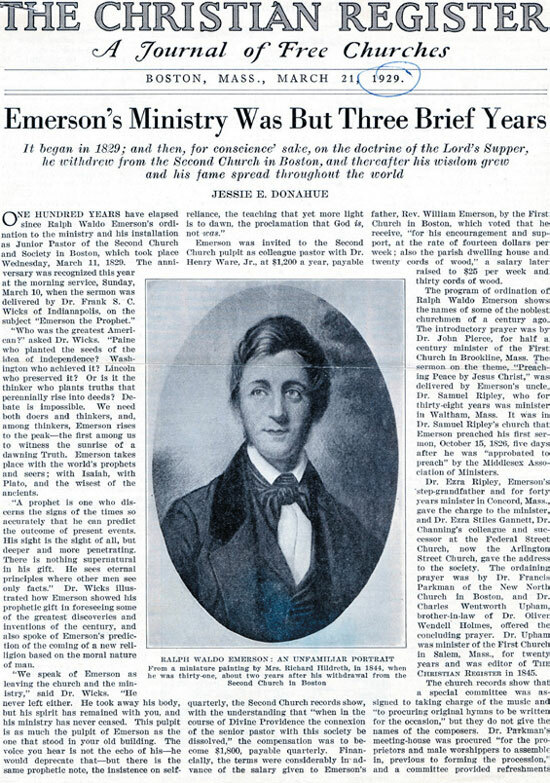 While he remained deeply religious throughout his life, with a thoroughly spiritual view of human life and the world, Emerson had his own self-reliant path to follow.